Apple devices were much more likely to be found under the tree this holiday season, than products made by competitors. For the week dated December 19th through December 25th, analytics firm Flurry (owned by Yahoo) found that 49.1% of new devices activated globally during the Christmas week, were made by Apple. That is off 2.2 percentage points from last year's figure. Samsung was second, accounting for 19.8% of new activations during Christmas week. That was a 2.1 pp increase from 2014's figure, meaning that Samsung essentially picked up the activations lost by Apple this year. Nokia's share dropped from 5.8% to 2%, still good enough for third place. LG was next with a 1.7% slice of the pie, while Xiaomi was fifth with a 1.5% share of the new activations made during Christmas week. The data shows how phablet demand continues to rise. In 2013, these large-screened phones made up only 4% of new devices activated globally from December 19th though the 25th. Last year, phablets made up 13% of such activations. This year, that figure was 27%. During the same period of time, new small phone activations have dropped from 3% to 2% to this year's 1%. New medium-sized phone activations have dropped from 64% (2013) to 63% (2014) to 54% (2015). New tablet activations have been falling overall. During the week containing Christmas, small slates' share of new activations dropped from 12% to 11% to 9% in 2013, 2014 and 2015, respectively. Large tablets have had a very similar pattern, falling from 17% to 11% to 9% of new activations over Christmas week in 2013, 2014 and 2015, respectively. While the Apple iPhone 6s Plus and Apple iPhone 6 Plus accounted for 12% of iOS activations during Christmas week this year, Android phablets made up 50% of Android activations during the same time period. Lastly, whether it is due to new devices purchased for the holidays or just a desire to add some new games, app installations rose 120% on Christmas day. Flurry came up with the data by tracking 780,000 apps. Jeez Apple is killing it! Did anyone expect it to be any different. American company should be top dog in its own country. If you aren't then you have a problem. All the Black Friday deals surely helped. Sammy you too should have did more if those. Samsung should have made all carriers offer $0 down and smaller monthly payments. Maybe S6 edge+ for $25 per month. Only Stateside though, I wonder what the numbers are worldwide? Where does it state this is US only? 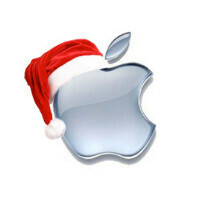 "49.1% of new devices activated globally during the Christmas week, were made by Apple." (From this article, not the source) While the source does not say whether this year's study is worldwide or not, their same analytics from both 2013 and 2014 are worldwide. The "holiday season" in mostly a western event - so yes, it is mostly affected by US sales. The "global" thingie is just Apple's marketing management addition. So they don't celebrate Christmas in Europe. Or South America. Or Canada. Or Mexico. Makes sense. Sarcasm aside, yes I get that these are probably heavily US sales, but that still doesn't mean they are entirely US sales. Techie asked "I wonder what the numbers are worldwide?" I responded that these ARE the worldwide numbers. It says globally, not U.S. The Droid is strong with this one. Show me where in the article it says "apple account for 49% of the Christmas profit globally"? Apple devices were much more likely to be found under the tree this holiday season, than products made by competitors. For the week dated December 19th through December 25th, analytics firm Flurry (owned by Yahoo) found that 49.1% of new devices activated **globally** during the Christmas week, were made by Apple. That is off 2.2 percentage points from last year's figure. See it now? I'm pretty sure Apple had way more that 70% of the total profit during Christmas. Apple always has a strong fourth quarter, this isn't at all surprising. They make a really good line of phones, though not for everyone. I'm sooo looking forward to the Note 6, and iPhone 7, both should be stellar devices. I expect the i7 to make bigger strides the the N6, due to the N5 being so cutting edge, and the 6S leaving a lotta room for improvement. How are u darkk, merry christmas for you and family. It seems 6S & 6S plus didn't officially arrive at Indonesia yet... Both device will be a great christmas gift since both released almost at the end of year, of course they carry all the latest tech. Sales number was strong during christmas, it just their moment to shine. I'm good bro, hope all is well with you. Are you planning to get one? Probably after some try, what interest me isn't the OS but i'm expecting iOS will make a great feat with 3d touch. Choice are tough if S7 comes with same tech. I am looking forward to the M10 and iPhone 7, unless Samsung ditches the glass back. It's hard for me to love HTC anymore, i don't have good experience with M8 and it seems this year they are not so impressive as well. But it's probably just me, i think G5 and probably Xiaomi will be a good opponent for Samsung. And merry christmas for you to. What was your experience with the m8? I bought my wife a used gold M8 after selling her Note 3, and it was crazy good. Apart from the inconsistent camera, the device was superb. She eventually switched to the S6, but the M8 was truely a great and unappreciated device. And if it wasn't for the subpar camera, I would've went with the M9 over any other flagship this year. If the M10 doesn't deliver, I will definitely give the m9+ Supreme Camera edition a try. Terrible camera, lags (yes it's quite bad when typing & browsing) and i'm not even playing games my Note 3 is far better, battery dies quite fast even with medium/light usage, charging takes too much time (2hours 30mins). Maybe i was too picky? ayway it's a flagship so i have much expectation. I am thinking you had a bad apple. Camera wasn't terrible, just inconsistent. Lag, never seen any lag on that phone, like I can honestly say NEVER EVER. Battery was brilliant, I downloaded the GSam better app on her m8 to compare it to my Note 4 at that time, andit would easily easily surpass the 7 hrs of sot mark. Charging does take lots of time, but almost every 2014 flagship did, fast charging wasn't that common on smartphones. Whoa i'm jealous, mine probably 3.5 SOT at best. HTC has me curious, as to how they plan to turn it around. Given that this is probably their last shot, I am hoping they will finally work on the areas that the m9 got criticized on. My ideal m10 would be a 5.1/5.2" 1080 screen. I don't want the best camera, i can do with a top 5 one. Stereo front firing speakers must not go. Keep that satisfying metal curved back and don't give us another A9, stay true to the One series design. And since they will go with a fingerprint scanner like the A9, I would love if it they pulled a OnePlus, and gave us the option to switch between on screen or capacitive buttons. And as a bonus, it would be nice if they finally got rid of that black bar. They should go for a all around great device, and give it a look that draws you in. Like iPhone, it doesn't need the best specs, but super optimization, and no weak areas. If they don't include the black bar where will they put their tramp stamp? Somebody may have mentioned this, but this is likely driven by the fact that apples flagship launched in September and Samsung launched theirs in March/April. Yes note 5 was august/September but s6 is real seller. I work in video games and it's the same thing for holidays, ganes that came out closer to holidays sell the best, even the s**tty ones. Normal, look around you and you will see how many iPhones 6 or 6s are used. iPhone is the king of Smarphones, this is a reality.